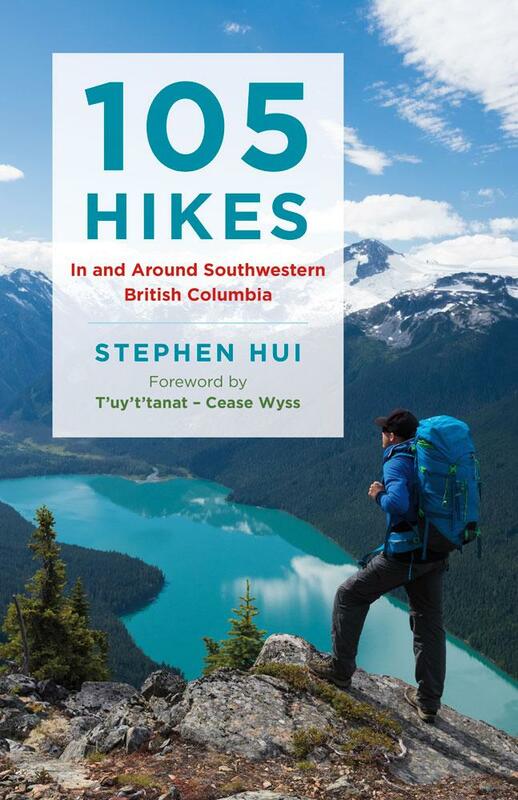 Stephen Hui is the author of 105 Hikes In and Around Southwestern British Columbia. He lives in Vancouver, B.C. — in the territories of the Musqueam, Squamish, and Tsleil-Waututh First Nations. Visit 105hikes.com. Due to popular demand, Mountain Equipment Co-operative (MEC) is hosting a second book signing for 105 Hikes In and Around Southwestern British Columbia. This time, the event takes place at the North Vancouver store. 105 Hikes In and Around Southwestern B.C. is now in bookstores! It’s the moment you’ve all been waiting for (okay, that I’ve been waiting for) — publication day for 105 Hikes In and Around Southwestern British Columbia. That means B.C.’s newest hiking guide, which also includes trails in northern Washington, is now available in bookstores everywhere. 105 Hikes is the all-new, expanded follow-up to Mary and David Macaree’s iconic guidebook 103 Hikes in Southwestern British Columbia. A portion of the revenue from sales of 105 Hikes will benefit the B.C. Mountaineering Club (BCMC). Our 105 Hikes In and Around Southwestern British Columbia talk at the Parkgate Library filled up more than five weeks in advance of the event.